I’ve been playing football games for almost half my life now. In that time I haven’t seen such a drastic update to the series as I have seen from FIFA 18 to FIFA 19. 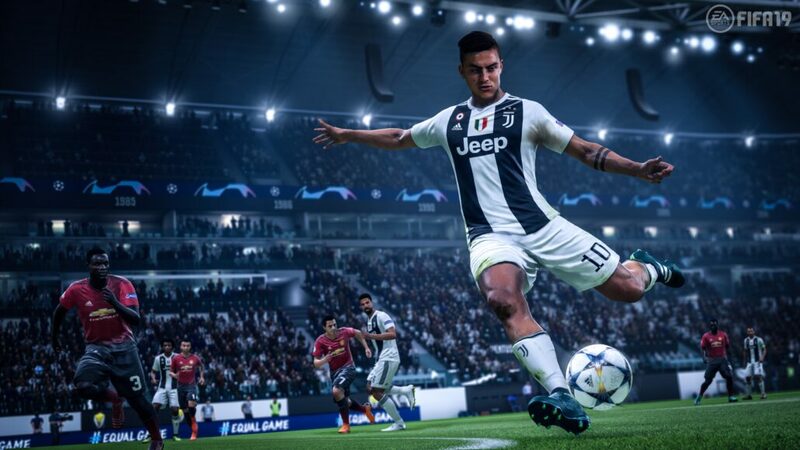 The most publicized addition to the game is the recent acquisition of the Champions League license from UEFA, but the significant changes come in the form of the gameplay tweaks. Considering how FIFA 18 was widely regarded as a decent game, this decision from the developers looked like an awkward one. As the console generations have shifted from local multiplayer to primarily focusing on online modes, I’ve been disappointed with EA for ignoring those of us who prefer to play FIFA locally with friends. Of course, there’s always been the option of exhibition mode, but that’s usually the extent of local multiplayer. 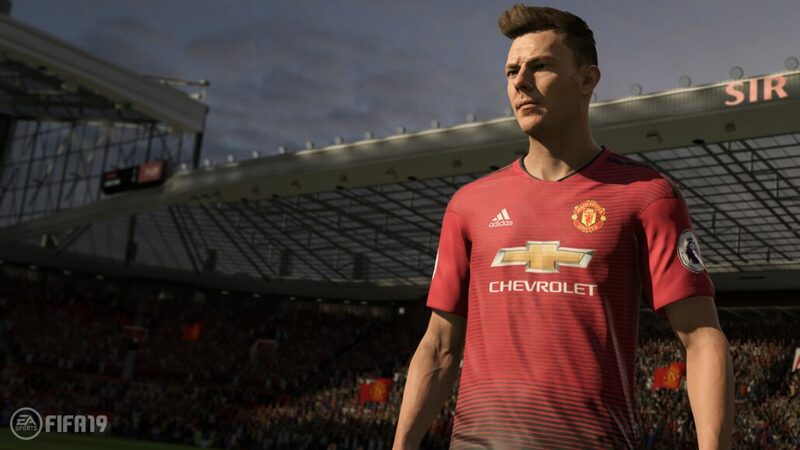 FIFA 19 finally delivers some support for local players in the form of a brand new Kick-Off mode. Before selecting to be the home or away side, players are able to input their Kick-Off name, allowing you to track all of your stats against your mates. In addition to this, there are a number of new modes exclusive to local multiplayer to help vary up the gameplay. House Rules is the most unique mode of the bunch, allowing players to create their own rules to change how the match is both played and scored. House rules allows you to play Survival, a mode that brings battle royale to FIFA. Every goal you score removes a random player from your team. By scoring five goals, you automatically win the game as you aren’t allowed to have less than seven players on one team. Funnily enough, the Champions League license will likely be seen the most in local multiplayer. Kick-Off has a number of dedicated Champions League modes, allowing players to go through the group stages, home and away legs and of course, the Champions League final. Aside from the dreadful commentary from Derek Rae and Lee Dixon, I would say that EA has done a great job on mimicking the presentation of the competition. Every cup final FIFA 19 has to offer is now available as a local multiplayer mode. These cup final assets used to be restricted to Career Mode only when you club reached it, but now players are able to see any of these in the new Kick-Off mode. Speaking of Career Mode, the only additions to this mode are the inclusion of the Champions League (CL), the Europa League (EL) and the Super Cup. Aside from that, and the inclusion of the Ultimate difficulty, the mechanics of Career Mode remain unchanged. This doesn’t come as a surprise considering the developers have made an effort to continue their single-player experience, The Journey. Just like FIFA 17 and 18, Alex Hunter returns for a third (and potentially final year) as he continues his footballing career. In all honesty, at least in my game, Alex Hunter managed to win the league and the FA Cup in his first professional season of football with Arsenal. Can you really go beyond that? Well, Alex has his sights set on the Champions League trophy with Real Madrid this season, so players have that to look forward to. In addition to this, you have the option of going through Danny Williams and Kim Hunter’s journey to see what life is like for a struggling Premier League player and as an upcoming woman in the FIFA Women’s World Cup. The Journey is a weird one for me as I dislike playing the actual mode but I like the cheesy story enough to keep going. You can really tell the Cristiano Ronaldo transfer to Juventus in the summer had an impact on the story, as there are moments where it feels like something is missing during the cutscenes. It would be impossible to fully replace Ronaldo, I mean, you’ve got Alex Hunter playing for Real Madrid and yet they never address Ronaldo’s exit from the team. It would’ve been interesting to see what The Journey would’ve looked like without the developers having to initiate their ‘Plan B’ option of removing Ronaldo entirely. FIFA Ultimate Team (FUT) is by far the most popular mode when it comes to playing FIFA online. Unsurprisingly, this mode goes largely unchanged from last year as EA continue to build on an already solid foundation. With the introduction of the Champions League and Europa League license, FIFA 19 now has specific CL/EL player cards which don’t add much to the game other than being slightly worse than in-form cards. The biggest change to FUT has to be the revamp of Online Seasons. Now called Divisions Rivals, players are incentivised to play every day to compete for a choice of rewards at the end of the week. Online Seasons lacked any real reward after completing a number of shortened seasons as the main reward in FUT comes from the Weekend League mode. In Divisions Rivals, the classic divisions still exist and are used to match players up, but the seasons have been scrapped entirely. Instead, the division you are in acts as a multiplier for the number of points you receive per match. The total number of points you acquire over the week determine how much you are likely to receive in rewards. I’d say the best part of these rewards is that you have an option when it comes to choosing your reward at the end of the week. If you are the kind of player to invest your coins into the transfer market, you can simply pick coins as your reward. Want to open packs? You are able to pick packs as an option. For those who seriously love packs, you can opt for untradeable packs, giving you twice the amount of cards than the tradable option. Timed finishing is one of the new mechanics in FIFA 19 that tries to bring another layer of depth to the gameplay. The idea is that you tap the shoot button at the perfect time (right before your player’s foot is about to strike the ball) as you are taking a shot to make it more accurate. This might sound easy, but the timing for the shot varies depending on the type of shot you take as well as the player you are shooting with. I am very happy with this addition to FIFA 19 as it isn’t something that can be easily mastered in only a few games, yet when you do fully understand it, your shots can be devastating. My favourite change to FIFA 19 has to be the tweaks to the gameplay that have made the football feel so much better compared to previous years. For the first time in years, pace is no longer the be-all and end-all thanks to the game being slowed down considerably. Opponents that try to run down the wing expecting to break through on goal will be disappointed to find that defenders can now keep up. As you might expect, a footballer dribbling with the ball at their feet is bound to be slower than a defender without the ball. Now that players are slower on the ball, you are able to pick from a selection of footballers that usually would never be used. As an Arsenal supporter, I’ve spent years with Olivier Giroud as the man up front. Sadly for Giroud, he’s not the fastest player on the pitch, however, he has a number of attributes that make him useful. In previous FIFA games, if you had a striker who wasn’t lightning fast then you would struggle to get goals outside of set pieces. When you use a target man like Giroud or Mario Mandžukić, it’s easy to appreciate how much these gameplay tweaks have allowed for different styles of play. A subtle addition EA has added to FIFA 19 is the manual pass option. From the years between 2010-2015, my brothers and I exclusively played using full manual controls. This control scheme may not have been competitive when it came to online play, but it slowed down the game and made the football more realistic. Eventually I switched to assisted controls in order to play properly online, however, it was always difficult to transition over to assisted due to the amount of control you had when it came to passing on manual. Having the ability to small short passes into space or even manual through balls cannot be understated. While this does not match PES’ button dedicated solely to manual controls, this is a huge step towards having total control of your team on the pitch. For those wanting more control over how your team plays during a match, Dynamic Tactics have been added to FIFA 19 to give you that flexibility. In previous games, you were able to switch between defensive and attacking styles using the d-pad. You now have the option to customise all five of these preset options to ensure the team plays the way you want them to. We’ve all had the issue of going on the Ultra Defensive preset only to find that the team is playing a high line, causing you to concede an easy goal on a counter-attack. Instead of unexpected results happening like this, you can specify what each of these options does. Ultra Defensive can now be set to have your team play with a counter-attack mindset, whereas Ultra Attacking can focus more on fast build-up play with constant pressure on the opposing team. As with every FIFA game, there’s always a mechanic that works a little too well than originally intended. This year, finesse shots and bicycle kicks appear to be the main culprit. After years of playing FIFA, going through the years of overpowered headers, pace being better than every other stat and ping-pong passing, this is by far the best year when it comes to exploited mechanics. I can see EA stepping in to address these issues, though the dream is that they keep the gameplay relatively unchanged. In FIFA 18, EA changed the way defending worked a few weeks after the game’s launch. While this was a necessary change, it altered the gameplay so much that the difference between the demo and the final game was huge. Here’s hoping FIFA 19 doesn’t see a big change between now and a few months down the line. 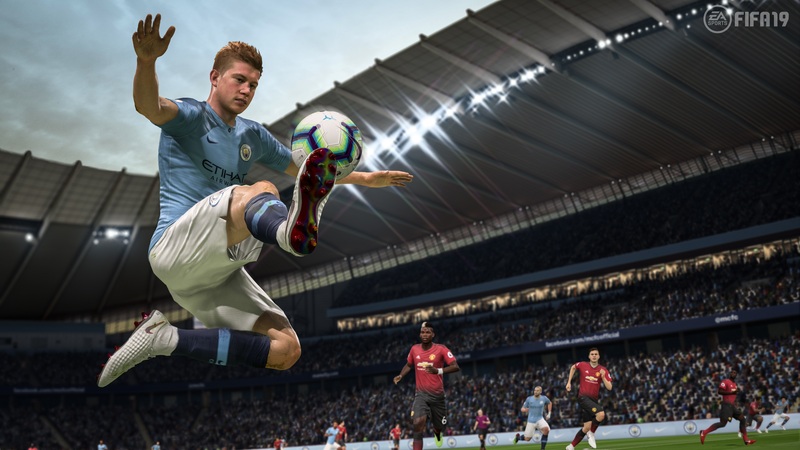 EA has a reputation of having pay-to-win games, but that isn’t necessarily the case when it comes to FIFA. The thing that makes me appreciate FUT is that I can compete with the people who spend hundreds of pounds on packs despite not putting in a penny. Having access to the transfer market as a phone app allows players to make money in FUT without having to be glued to their consoles. If players had to rely entirely on packs to have a good team, I wouldn’t touch this mode. Fortunately, you can use the coins you acquire after matches to purchase the players you want, removing the pack opening process entirely. Reviewed on PlayStation 4 Pro (code provided by the publisher). You can purchase the game for any platform of your choosing via Amazon. 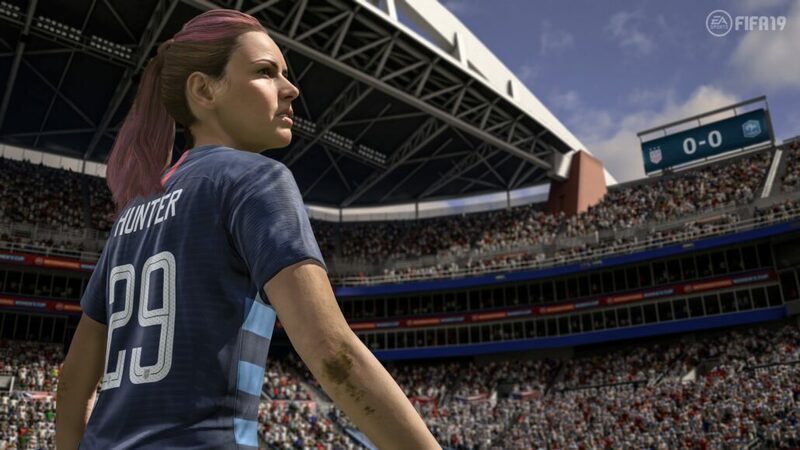 I can’t think of a single FIFA game that brought about as many big changes to the series as much as FIFA 19 has. EA has used the Champions League/Europa League license to improve the single-player experience, not to mention the use of special cards in FUT. The gameplay is finally at a point where it strikes the perfect balance between fun and realism. 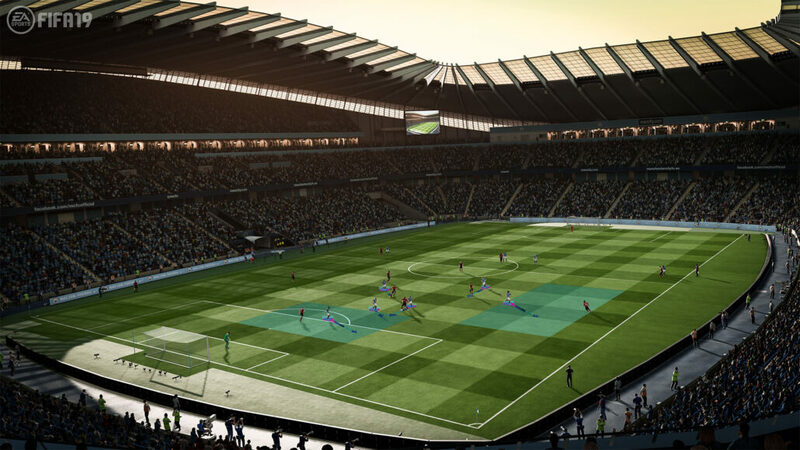 There’s also much more depth when it comes to customising your team, allowing you to make your squad play exactly how you want them to using the Dynamic Tactics system. To top it all off, local multiplayer has received the biggest update in years with the new House Rules and stat tracking system that you are able to use anywhere. FIFA 19 is by far my favourite football game of all time, and that’s really saying something. With so much content available for every type of player, you’d be crazy to miss out on this one.